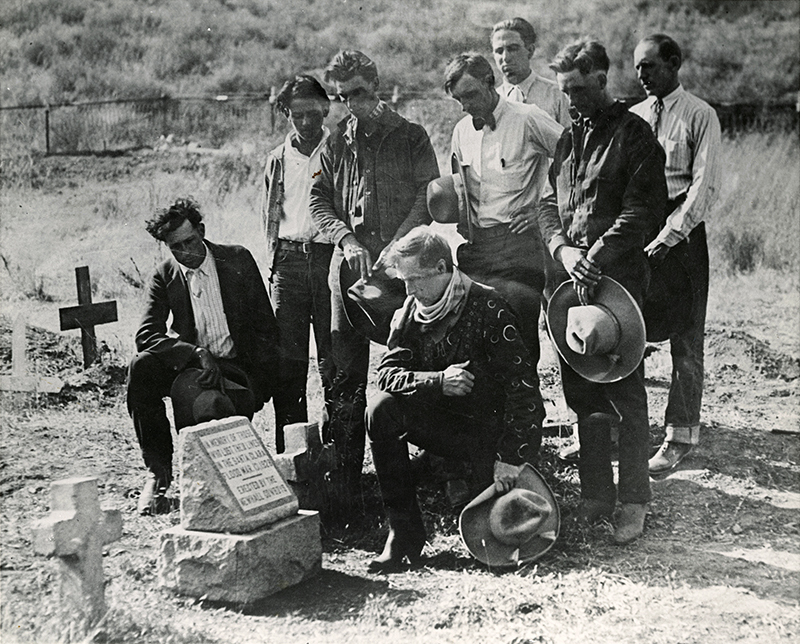 SCVHistory.com | San Francisquito Canyon | Ruiz-Perea Family Cemetery: A Census. Ruiz-Perea Family Cemetery: A Census. Transcribed By KAREN MURRAY* | From Photographs By EARL FOUST**. * Karen Murray is great-great-granddaughter of Ramon Perea. * ** Earl Foust is great-grandson of Ramon Perea. Alida "Madre; 1856 — 1941"
Pablo "Padre; 1866 — 1947"
Frances "Mother; 1884 — 1946"
Fred "Father; 1881 — 1958"
Roland T. "Born Jan. 5, 1927; Died Mar. 13, 1928"
Rosarita A. "Born Dec. 7, 1896; Died March 13, 1928"
Writer's note: Rosarita is a daughter of Enrique and Rosaria Ruiz. Writer's note: Rosa is a daughter of Ramon and Antonia Perea. Writer's note: Margarita and Rafeel are children of Ramon and Antonia. Enrique R. "Mar. 5, 1864; Mar. 13, 1928; Father"
Rosaria P. "Aug. 15, 1875; Mar. 13, 1928; Mother"
Mary S. "Oct. 22, 1898; Mar. 13, 1928; Sister"
Martin F. "Oct. 10, 1908; Mar. 13, 1928; Brother"
Raymond C. "Feb. 25, 1917; Mar. 13, 1928; Brother"
Susana B. "Feb. 1, 1920; Mar. 13, 1928; Sister"
Writer's note: Rosaria is a daughter of Ramon and Antonia Perea. Some of Enrique (known as Henry) and Rosaria's children are said to have survived the flood. Martin R. (M.R.) "Nacio Mar. 6, 1968 / Fallecio Feb. 26, 1900 / Nativo L.A. Co. Cal." This Martin R. Ruiz was the Newhall inkeeper. After his death, Nick Rivera raised his children. Harry Chacanaca, like many listed here, was of native American ancestry. He was born Jan. 8, 1900, and died Feb. 28, 1964. He was the son of Jose "Joe" Chacanaca; his mother's maiden name was Castia. The Chacanacas lived primarily in the Castaic area. According to his World War I draft card, Harry was a laborer for Charles Kellog of Saugus. The 1930 Census for Soledad Township (i.e., the SCV) lists him as a state highway worker. Harry married Mabel May and had two children, Clyde H. and Charles C. Chacanaca. Simon Cordova is not included in Murray's transcribed list, yet his death certificate places him in the cemetery.